The mandate of H.E. Ambassador Narinder Chauhan in Serbia marked the beginning of a new era in the traditionally good relations between India and Serbia, which was confirmed by the meeting between the two Prime Ministers in January 2017. President Vučić and Prime Minister Modi confirmed their political agreement in international forums. This discussion between the top officials of the two countries, organized after a gap of 30 years, not only marked the beginning of more intensive cooperation but also led to the implementation of numerous bilateral agreements. The two countries commemorated the 70th anniversary of the establishment of diplomatic relations. The revival of the enduring partnership was also signified by the return of Indian industrial giant TAFE to Serbia’s IMT, which re-established the cooperation originally initiated in 1962. Also contributing to Ambassador Chauhan’s desire to strengthen ties between the two countries is the liberalisation of visa norms, which has made it easier for citizens of India and Serbia to visit each other. 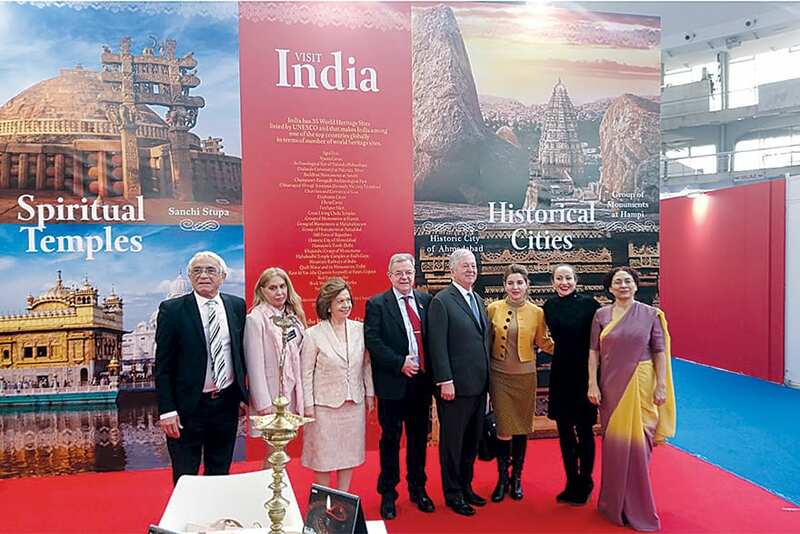 Besides political and economic cooperation, Ambassador Chauhan has also actively promoted Indian culture and tradition, which was met with great interest and respect in Serbia. As she prepares to depart from Belgrade, Ambassador Chauhan notes that a Bollywood team is currently shooting in Serbia with Bollywood stars. Your Excellency, your arrival in Serbia marked the start of a new phase in relations between our two countries. With the end of your mandate approaching, do you have any unfulfilled wishes in your role as ambassador? – I came to Serbia with the aim of channelling the fund of goodwill into concrete projects for mutual benefit. India-Serbia relations have seen a new high with the resumption of the tradition of high-level visits and boost to multi-sectoral cooperation. When I came to Serbia, I wanted to see a rise in the number of Indian visitors to Serbia. With the mutual visa liberalisation, tourism has increased by leaps and bounds. At the time of writing, a Bollywood film crew is shooting in Serbia with Bollywood stars. Similarly, there is a gradual rise in the number of Serbian companies visiting India. Our eVisa scheme is gaining popularity and I am happy to see that tourism from Serbia rose by 20 per cent in 2017. Last year marked the 70th anniversary of the establishment of diplomatic relations between India and Serbia. How would you rate current relations between the two countries? – India and Serbia have shared close bonds of friendship and cooperation, and there are many commonalities in our cultures, philosophies and traditions. 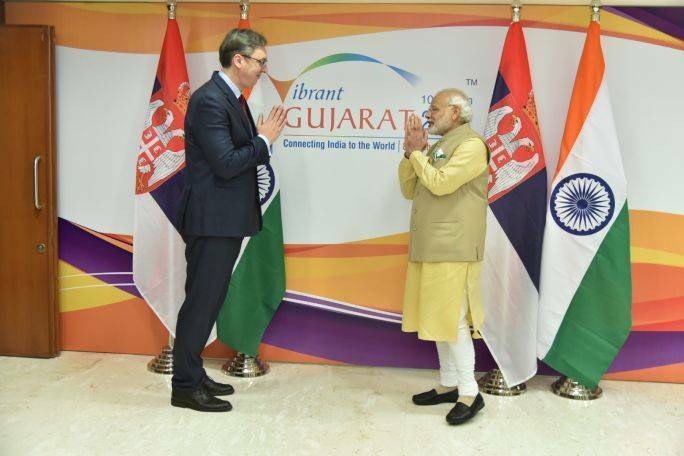 India-Serbia eco-nomic cooperation received a significant boost when Serbian President Aleksandar Vučić visited India to participate in Vibrant Gujarat Economic Summit in January 2017, where he discussed cooperation in various fields, including defence, agriculture, S&T, tourism, IT etc. We have supported each other in international fora. All agreements are in place and working groups have met in areas encompassing trade, agriculture, food processing, tourism, biotechnology, ICT, youth affairs etc. More recently, First Deputy Prime Minister and Foreign Minister Ivica Dačić made an official visit to India in May 2018, where he held bilateral talks with Indian External Affairs Minister Sushma Swaraj. The two ministers signed a new bilateral agreement on cooperation in the field of Culture, Youth, Sports & Mass Media. Prime Minister Ana Brnabić is also committed to “new relations” with India. You mentioned the meeting between the Serbian President and Indian Prime Minister, which was organised after a gap of many years. What was it about this meeting that made it, as you said, historically significant? – The January 2017 visit of President Vučić was the first at that level in 30 years and provided an opportunity for extensive discussion in all areas with PM Modi. It was agreed to promote ties in food production, agriculture, pharmaceuticals, the defence industry, health, tourism and Information Technology. President Vučić invited Indian FDI, offering the best possible investment conditions and new models of cooperation. The discussions in India reflected the mutual trust and understanding that has traditionally characterised our relations. The recent investment of CG Food was carried out seamlessly. Further, the sale of the IMT brand to India’s TAFE tractors was unprecedented. Viewed in terms of political aspects, India’s support for Serbia’s territorial integrity and its’s decision not to recognise Kosovo’s independence is extremely important to Serbia. There have been calls from the international community for India to change this stance, and purportedly pressure has also been applied. How is this considered in India? – We are proud of our special relations and the history of deep friendship with Serbia, which are marked by mutual trust, understanding and support on issues of core interest, including cooperation in multilateral fora. Our bilateral ties are free of any dispute. India will continue to reciprocally support Serbia’s territorial integrity and sovereignty. How would you rate the level of economic cooperation between India and Serbia? – In another boost to bilateral relations, Serbian Agriculture Minister Nedimović led 11 companies to the World Food India event in November 2017, where Serbian products like fresh and frozen fruits & vegetables generated great interest. The signing of a Phytosanitary Agreement, which is in the advanced stages of negotiation, will be instrumental in enhancing bilateral trade in agricultural products. In another positive development, Serbia made Indian company TAFE a strategic partner in the crucial sector of tractor manufacturing, under the IMT brand. CG Food India has invested in a noodle factory in Ruma and is now also exporting its product. India’s Embassy Group has invested USD 20 million in an IT Park in Inđija, which has the potential to be developed as an IT hub in Serbia. There are growing exchanges of visits between Indian & Serbian tech companies, with representatives of 300 Serbian companies visiting India annually. Serbian company Schneider DMS NS is working on “Smart Cities” projects of the Government of India, while Serbian defence production companies are partnering with Indian companies. These partnerships can help us reach new heights in our trade and commercial partnership. Bilateral trade has seen year on the growth of 40 per cent, and I am confident that India and Serbia will continue to work together to re-energise and redefine political and cultural relations, as well as trade and economic ties. This April saw Indian company TAFE become the owner of IMT – the formerly locally renowned Industry of Machinery and Tractors. Do you believe in the success of this investment and could it encourage interest in the Serbian market among other Indian businesspeople? – I am very pleased that Indian company TAFE has successfully bid for IMT. 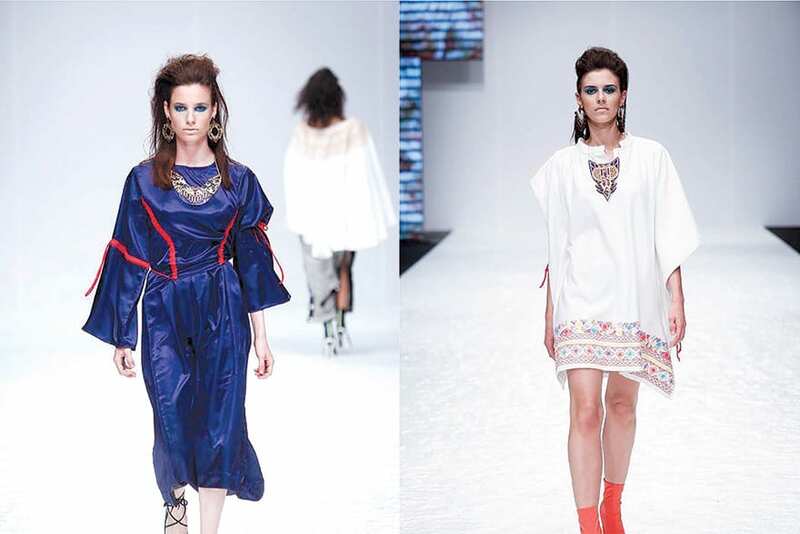 With this, Serbia has once again reposed its faith in India by handing over an ex-Yugoslav brand to an Indian company. This strategic partnership is an excellent step in the enhancement and further development of our economic cooperation. IMT was the most recognisable tractor brand in all of the former Yugoslav republics and represented the backbone of agricultural mechanisation in the region. TAFE was IMT’s partner for many decades, with technology cooperation beginning in 1962. TAFE, the oldest player in the region, sells approximately 750 tractors annually in the region and will produce IMT tractors for the SEE region and other markets with which Serbia has free trade agreements. This partnership will definitely motivate Indian businesspeople to invest in Serbia. The Mahindra Group of India also recently visited Serbia to explore modalities for the import of Serbian apples and raspberries to India, and the export of Indian mangoes and other tropical fruits to Serbia, in addition to establishing collaboration in food processing operations. An Indian defence sector delegation visited Serbia in May 2018 to explore possibilities of future cooperation. We have great economic synergy and there are huge opportunities for partnership. 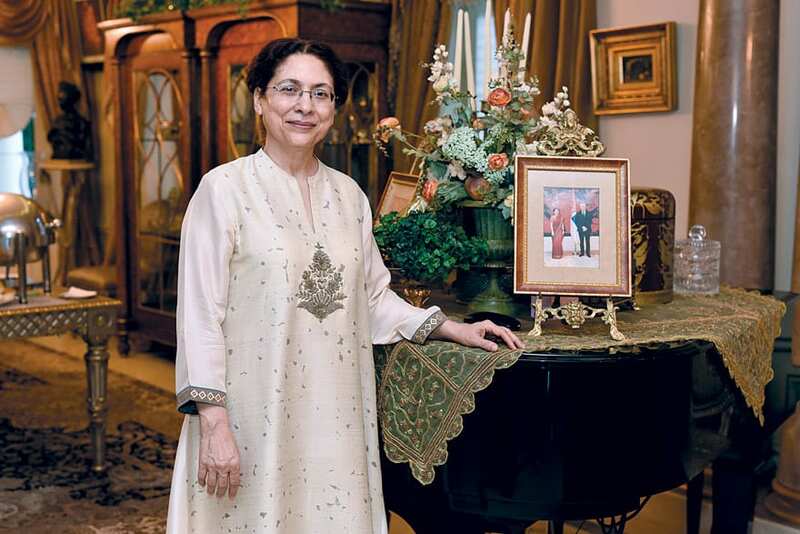 India’s cultural wealth is well known in Serbia and an interest in studying exists. As of recently, the “history of Indian culture” has started being taught at the University of Belgrade, while the Novi Sad Faculty of Philosophy has been lecturing in the Hindi Language for the last two years. Do you envisage possibilities to connect universities in Serbia and India? – India is an ancient civilisation and there is a deep respect for Indian cultural legacy in Serbia. In the former Yugoslavia, the School of Indology was set up at the University of Zagreb. Serbia’s most prestigious higher education institution, the University of Belgrade, agreed to start working on Indian studies with the introduction of a course on Cultural History of India which will go a long way in strengthening the intellectual bonds. The ICCR Hindi Chair at the University of Novi Sad has also contributed to the promotion of the Hindi language in Serbia. A Memorandum of Understanding between Serbia’s John Naisbitt University and O.P. Jindal Global University of India, with the objective of establishing fruitful academic collaboration, has been progressing well. The University of Belgrade and the University of Madras also recently signed a MoU for educational cooperation. We expect to have an India Chair in the University of Belgrade soon. You have also promoted yoga in Serbia, as a way of establishing inner peace and harmony with the world. Given that life in Serbia is quite fast-paced and stressful, how does the yoga concept fit into such a rhythm? – Yoga is deeply connected to ancient Indian philosophy and culture. Yoga is a way of preparing both the body and the mind to achieve a deep state of meditation. Our efforts are directed towards Yoga becoming a mainstream activity. Interest in Yoga & Ayurveda is boosted by successive International Day of Yoga events every June, followed by Ayurveda & Homeopathy workshops. Yoga is gaining popularity in Serbia, with courses for Yoga Teachers financed by the Government of India, under the Indian Technical & Economic Cooperation (ITEC), receiving a tremendous response. What will you miss the most when you leave Serbia? – I have enjoyed Serbia’s beauty and its clean environment. Your cultural manifestations, including the Kolo dance, kept me enthralled. I am proud that one of your famous opera singers and Hon’ble Member of Parliament, Jadranka Jovanovicć, is rendering one of Mahatma Gandhi’s songs with Serbian composition. Like Indians, I find that the people of Serbia cherish their traditions, values and beliefs. The histories of India and Serbia are intertwined despite the geographic distance between us. Our cordial and friendly relations go back to the time of the Non-Aligned Movement. Good mutual understanding is of the utmost importance to successful bilateral cooperation between the two countries, and that is most effectively realised through dynamic contacts between businesspeople, as well as political, cultural and diplomatic leaders. Serbia is an open door for India. I am grateful for the exceptional cooperation that I have received from the Serbian media, especially CorD magazine, which has covered the Indian Embassy’s activities extensively, publicising the Indian development programme and raising awareness of growing business opportunities.